As a result of the Westphalian Peace Treaty France is the determining power on the European Continent. Like American civilization and the English language influenced the Old World in the 20th century French culture and language dominated Europe until the beginning of the 19th century. 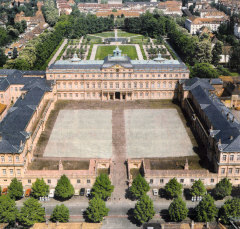 The model for all European rulers is Louis XIV, le Roi Soleil: German princes practice provincial absolutism, decorate their mini-residences with copies of Versailles, and call those Belvedere or Sans Souci. Although France together with Sweden and the Reich is one of the three powers guaranteeing the peace Louis does not hide his intentions when he states: S'agrandir est la plus digne est la plus agréable occupation des souverains*. During his reign Louis leads a total of four wars of conquest against the Spanish Netherlands, i.e., the territory of today's Belgium, followed by the Dutch War, then the Nine Years War against Holland and Palatine and finally the War of Spanish Succession. 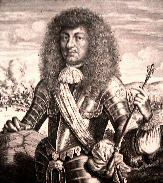 Particularly during the war against the Netherlands (1672-1679) Louis contravenes the Peace Treaty of 1648 in occupying the Imperial cities in the Alsace whose independence had been guaranteed. Eventually Emperor Leopold declares war on France but Marshall Turenne beats the Imperial army at Türkheim and has his victory followed by a blood-bath among the civilian population. When he Sexaginta milia Germanorum ultra Rhenum pulsa* the Alsace de facto is French. That is not all. 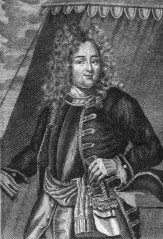 In November of 1677 the French General François de Créqui breaking the rule that armies remain in their quarters during the winter season ferries over the Rhine and takes Freiburg in a surprise attack. With the Turks in the east besieging Vienna the Emperor has no means to resist the French in the west. In the following peace talks of Nijmwegen Louis generously gives Leopold the choice to keep either Freiburg or Fort Philippsburg. The Emperor chooses the latter and Freiburg becomes a French city. With Breisach France not only holds a bridge head on the right bank of the Rhine but now possesses an outpost in Habsburg territory. 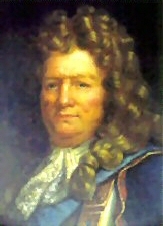 To make his new acquisition safe against future attacks Louis orders the famous Sébastien Le Prestre de Vauban to fortify Freiburg according to modern principles. This means above all that in order to keep the costs manageable the surface of the city is greatly reduced. Consequently the city's suburbs are razed to the ground to clean the field of fire. In 1681 French troops occupy Strasbourg that according to the Peace Treaty of 1648 had remained under Imperial rule. Again Emperor Leopold cannot put up resistance. Louis, on his way to his new acquisition - he personally wants to return the famous Cathedral to the Catholic Church where since 1529 Lutheran services had been held - visits Freiburg for one day. Together with his entourage he travels from Fort Breisach taking the exterritorial road to Freiburg. He refuses to stop on the way for the villages he passes through are enemy territory. Following an inspection of Freiburg's new fortifications, he could not really admire due to fog, the King regains Breisach already the following day. Very little remains of Vauban's masterpiece. 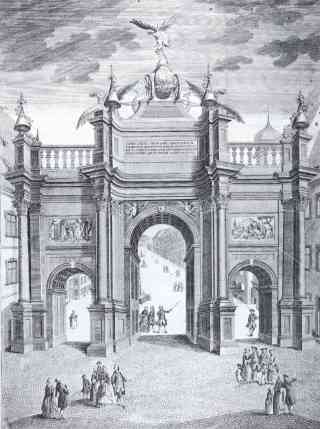 Here you see what is left of the Breisach Gate, the entrance to the city on Gartenstraße. 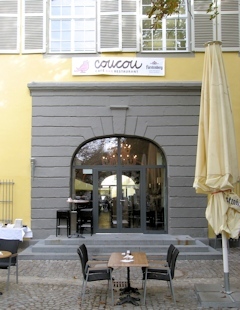 Now a restaurant occupies the building. Freiburg's French occupation has dramatic consequences. The Austrian government officials move to Waldshut, the Chapter of the Bale Cathedral settles in Arlesheim. When the University is transformed into a French institution the German teaching staff leaves for Constance. The French garrison is a heavy burden for the city as the troops demand substantial contributions in food for men and horses from a poor city located in an impoverished country. Follows the Nine Years War when Louis again attacks Holland marching through the Spanish Netherlands. In occupying Cologne, Palatine, Mainz, Trier and again Philippsburg he breaks the armistice agreement with the Emperor. This is too much. A Great Alliance comprising the German Empire, Spain, Sweden, England, Holland, Savoy, Brandenburg, Saxony and Hanover eventually comes to grips with the aggressor but only wins the war at great cost. In retiring the French troops practice the scorched earth strategy: Heidelberg and its castle, Mannheim, Philippsburg, Koblenz, Worms and Speyer with its Imperial Court are destroyed. The Habsburgs recover Freiburg in the Peace Treaty of Ryswijk in 1697 but all their other possessions in the Alsace and the free Imperial City of Strasbourg are definitively lost. When in 1700 the last Habsburg King of Spain Charles II dies without issue Louis forwards his own grandson Philip of Anjou as the successor. This presents a major upset of the European equilibrium. In addition overseas interests of the great powers had long been waiting for to be settled so a world war is fought in the Netherlands, Germany, Italy, Spain and the colonies. This time the Alliance of den Haag fights on all possible fronts against France. In September of 1713 a French army of 150,000 men commanded by Marshall Villars besieges Freiburg, thanks to Vauban one of the best fortified cities in Europe. The Austrian City Commander Ferdinand Amadeus Freiherr von Harrsch has at his disposal 10,000 well trained men but only limited supplies. Harrsch (as it sounds both in English and German: nomen est omen) orders women and children who only eat and do not fight to leave the city. This does not help much as after three weeks of siege he has to withdraw his remaining fighting men into the Schlossberg fortifications. Without defense Freiburg is bombarded from outside by the enemy and pillaged from inside by remaining Austrian soldiers and French POWs. In extremis the city's clerk Dr. Franz Ferdinand Mayer mounts the Bastion in a hail of bullets. In waving the white flag he saves hundreds of lives among the civilian population. Emperor Charles VI nobles him for his heroic act choosing a name that fits him well: Baron von Fahnenberg. Today a square near the place where Dr. Mayer announced Freiburg's surrender is named after him. Eventually the Peace Treaty of Rastatt in 1714 confirms all of Louis' acquisitions except those on the right bank of the Rhine: Freiburg, Breisach and Kehl are returned to the Empire. They call him the Great, Prussia's King Frederick II although or because he was one of the greatest warmongers in European history? Maybe his tolerance in religious matters, the abolishment of serfdom, the recognition of independent courts of justice and the introduction of potatoes as staple food in Prussia justify Frederick's surname. But already contemporaries were divided in their appreciation of Old Fritz. Johann Wolfgang von Goethe always glorifying great personalities writes in his memoirs that in his youth his family was divided in those adhering to the Austrian Emperor and those admiring the Prussian King. 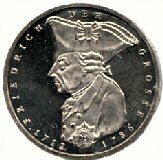 He himself was Fritzian minded but says he could not care less about Prussia. The reason for this polarization is Frederick’s struggle for an enlargement of Prussia's territory. When his father the Soldier-king dies in 1740 Frederick not only inherits a well filled treasury but the best trained standing army in Europe. As a student he wrote in his book The Anti-Machiavelli: War is such an abyss of misery, its outcome is so unsure and its consequences for a country are so disastrous that princes should consider and reconsider this option before going to war whilst now as a king he states: A prince’s first worry should be to survive, the second one to enlarge his territory. This sounds pretty familiar and like Louis XIV in the west 70 years earlier Frederick now attacks Habsburg territory in the east. In a war of aggression he occupies Silesia, Austrian’s granary. Frederick’s war crime is particularly distgusting as he as a German Elector attacks his Empress, a charming young Lady of 23, Maria-Theresa. That is one reason why Friedrich Schiller said about Frederick: I cannot grow fond of this character. 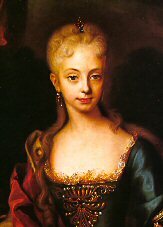 Maria-Theresa cannot get over the loss of Silesia for her rich province amounts to 20% of the Habsburg's income. Consequently she starts the 2nd Silesian War to re-conquer her territory and that is where Freiburg comes in. Against Frederick's trained army Maria-Theresa needs all her men stripping Austria's western provinces of troops. This vacuum is rapidly filled by the French Marshall Coigny and his soldiers. 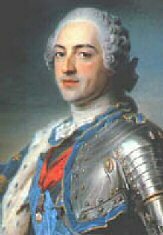 In 1744 King Louis XV personally commands the operations watching the bombardment of Freiburg from the Lorettoberg. The French had previously agreed to spare the Münster while Freiburg's artillery promised not to aim at the King's position. The city apparently had bad marksmen as still today a cannonball can be seen stuck high up in the wall of the chapel where Louis once stood. As a result of this insult the French reinforce their bombardment of Freiburg considerably laying many buildings in ashes and ruins. The city clerk notes: The gates of Hell are wide open. Cannonball stuck in the wall of the Loretto Chapel. To visit the place see instructions at the end of the previous page. One year later in the preliminary peace negotiations Louis XV offers the city to the Duke of Bavaria who is not interested in the rubble heap. Eventually the French cannot avoid that Freiburg returns to the much hated Habsburgs but before leaving the city they blow what remained of Vauban's masterpiece into pieces. The detonations cause additional damage to houses and particularly to the Münster destroying many of the medieval stained glass windows. A mere 2000 poor inhabitants living in shambles are left behind. Frederick's war propaganda is successful painting the picture of a liberal German North being mostly Protestant standing against a suppressive conservative Catholic South dominated by Austria. An additional thread to the House of Habsburg is the pan-Slavic movement supported by Russia and aimed at Austria's eastern provinces. 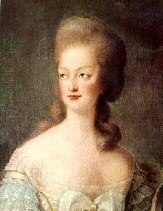 Therefore during the following years Maria-Theresa is looking for new allies. Her approach towards France reverses old alliances. Suddenly warmongering Frederick is surrounded by enemies, a situation he answers with a preventive war invading Saxony without any warning in 1756. As a consequence all hell breaks loose. Suddenly the Prussian King stands against the whole world fighting according to his motto: Many enemies, much honor. Just before Prussia disappears forever into the abyss of history the exhausted enemies conclude the Peace Treaty of Hubertusburg in 1763 where they consent all territorial gains to Frederick. The King readily returns into the bosom of the faltering Empire choosing together with the other Electors his admirer Joseph, Marie-Theresa's son, as the new Emperor in the following year. 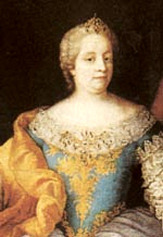 As far as France is concerned the Habsburgs seal the new alliance according to their old tradition: Maria-Antonia daughter of Maria-Theresa and better known as Marie-Antoinette is married to Louis XVI. On her way from Vienna to Paris in 1770 the 14 year old girl passes through Freiburg. 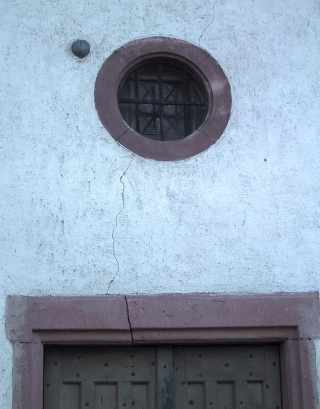 On that occasion all houses in Freiburg are painted white and the city erects a Gate of Honor. Shall the arch-enmity between the Houses of Bourbon and Habsburg eventually come to an end? 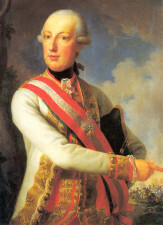 Joseph II works in that direction too when in 1777 he tries to entangle the interests of the two powers in the west planning to exchange the Habsburg territory of today's Belgium with that of Bavaria. Thus Austria would no longer have any interests on the west bank of the Rhine River while the acquisition of Bavaria would nicely connect the Austrian provinces of Bohemia and Tyrol by land. A universal outcry of Germany's princes prevents Joseph from going ahead. The same year the Emperor visits Freiburg. Afterwards his residence, the inn The Golden Stork, is renamed Roman Kaiser and the Große Gass is called Kaiserstraße. After the Second World War the addition of Josef to the name should make it clear that Kaiser means the Austrian one and not the last German Kaiser Wilhelm II.